This winter, a sparkling diamond landed in front of a technician at the Gemological Institute of America in New York City. He ran tests, noted the stone was man-made, and graded it as he would any diamond. It was the gem industry’s strongest acknowledgment yet that lab-grown diamonds are just as real as natural ones. For years, De Beers, the world’s largest purveyor of natural diamonds, argued against the acceptance and GIA grading of lab-grown stones. But since 2003, synthetic diamond production has taken off, driven by consumer demand for merchandise that’s environmentally friendly (no open-pit mines), sociopolitically neutral (no blood diamonds), and monopoly-free (not controlled by De Beers). 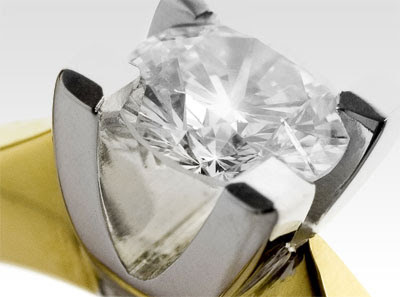 As a result, Gemesis, the leading manufacturer of gem-quality diamonds has expanded operations rapidly. Three years ago, the company had 24 diamond-producing machines; now it has hundreds - matching the cash-value output of a small mine - and is turning out a new one every other day. And despite their steady pronouncements of disdain, the old guard finally wants in. Michael Werdiger - one of only about 90 firms in the world that distribute De Beers’ diamonds - has been buying Gemesis’ yellow stones, a colour that is particularly rare in nature. Because man-made yellows are increasingly plentiful, they sell for up to 75 percent less than natural yellows. Just a few wholesalers now supply Gemesis’ stones to hundreds of independent and midsize chain jewelry stores in the US, selling out every month.